David doc Robertson is a C, 5-6 quadriplegic since he suffered a spinal cord injury, playing football for Los Angeles, Crenshaw High School during his senior year. Despite that accident, he earned a BA in English, with a specialization in writing, from UCLA and his MA in Communications- journalism from the University of Southern California. 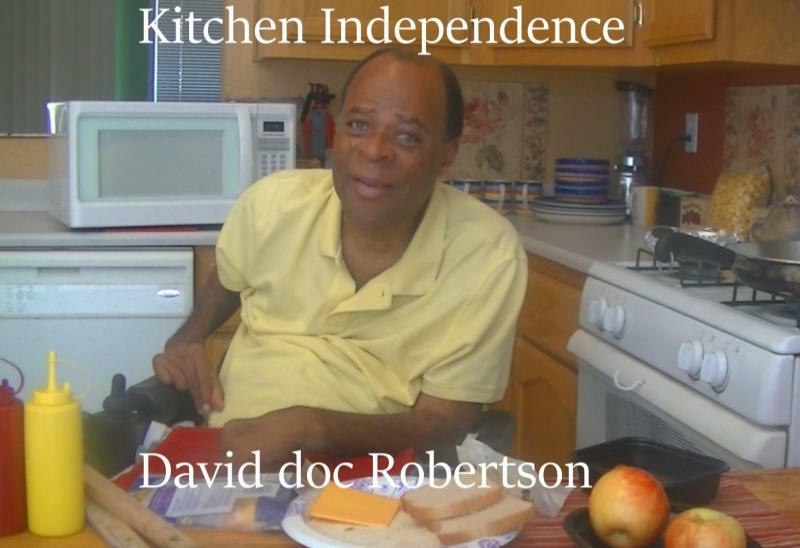 As founder of Viejo Productions, David doc Robertson is determined to create a rich history of artistry in cinematic expression by highlighting the latent skills and talents of those who dare to dream of proving their usefulness within a truly diverse and innovative environment. The introduction of Kitchen Independence will present the Viejo Production brand and bring awareness to its potential as a production legacy. He intends to utilize his variety of published fiction to maximize opportunities in emerging film markets. He is currently looking to make strategic partnerships with a focus on developing creative content. Mr. Robertson began his career as frequent freelance contributor of The Los Angeles Times and other regional and national publications. He wrote a series of articles about the struggles of being disabled in addition to an assortment of human interest pieces. He then decided to give back to society as an educator for two years, but became addicted to helping America's youth and remained in the field for 25 years. He just completed his last gig in the classroom as a college screenwriting instructor. He is a Los Angeles native, and the story of his traumatic accident, I Tried to Box With God, is available as an E-book and in paperback on Amazon, along with his catalog of fiction.